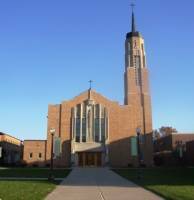 There are two options for making online or automatic donations to St. Cecelia. Save paper. Save time. And make your offertory gifts work harder than ever for our ministries. When you give online to St. Cecelia Parish, your gift will be transferred conveniently and securely from your bank account directly to the church. Access your account any time you like—you’re in complete control. Choose where you want your gift to go: offertory, capital campaign, special collections, diocesan collections, PFAH, etc. Choose the frequency of your gifts: recurring, one-time, or as a pledge. Your offertory gift might be set up to recur every week or every month. You might make a one-time gift to one of our special collections. Additionally, you might make a pledge or your payment to the Building for Our Faith Community capital campaign. You will receive an e-mail a few days before to remind you that your transaction will occur. If you would rather have the parish set up your automatic gift, please print out this form. Return the completed forms to the parish office.